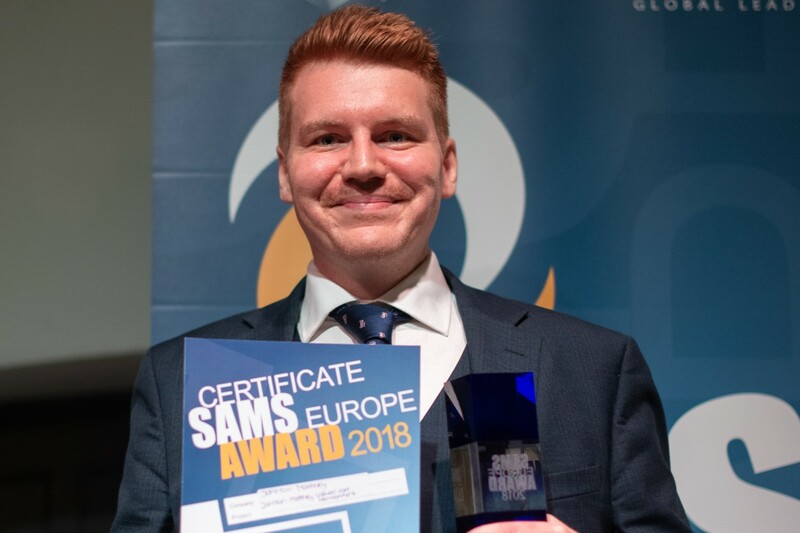 We proudly present: The Winners of the SAMS Europe 2018 Award! Haven’t you always wanted to get honoured for your work? It’s time you get awarded! Made for the Communtiy and with the Community. 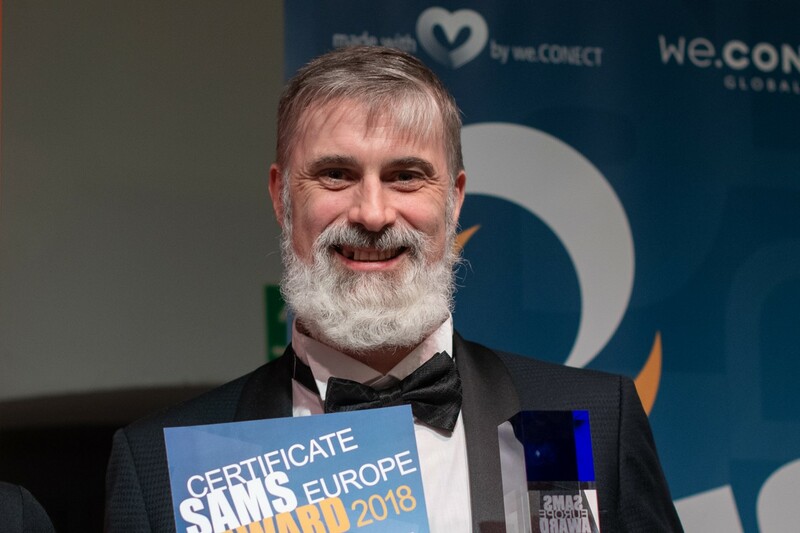 The finalists of the SAMS Europe Award will get the unique chance to showcase their outstanding achievements during the first conference day! The 3 nominees for each category will be able to present their success stories in front of the whole plenum on the first conference day. 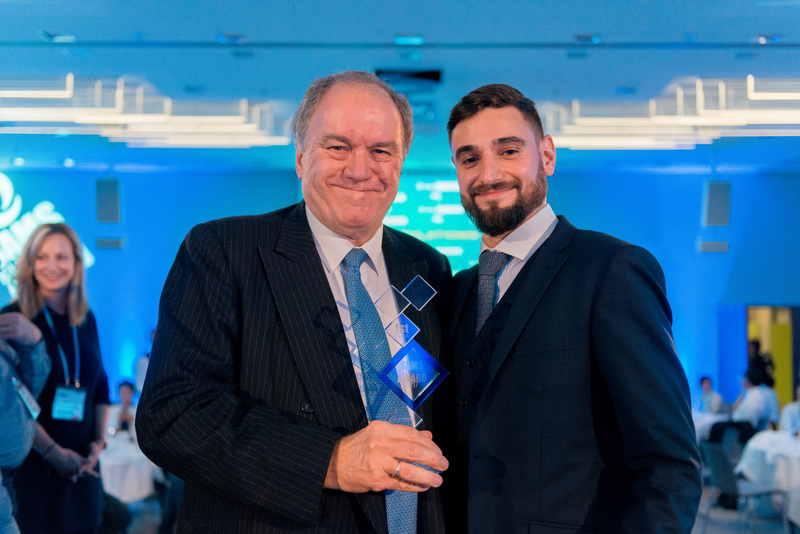 The official award ceremony in the framework of the networking dinner will be hosted by a true SAM expert. All winners will not only receive a certificate and a trophy, but we.CONECT will also donate € 1,000 to a charity project on their behalf. Don’t miss out the biggest night of Software Asset Management and Software License Management! Apply now to win the most important award your SAM project can get! We are currently working on the application forms for 2019. If you are interested in applying, please reach out to Jennifer Hoge and we will let you know when the application forms are online. 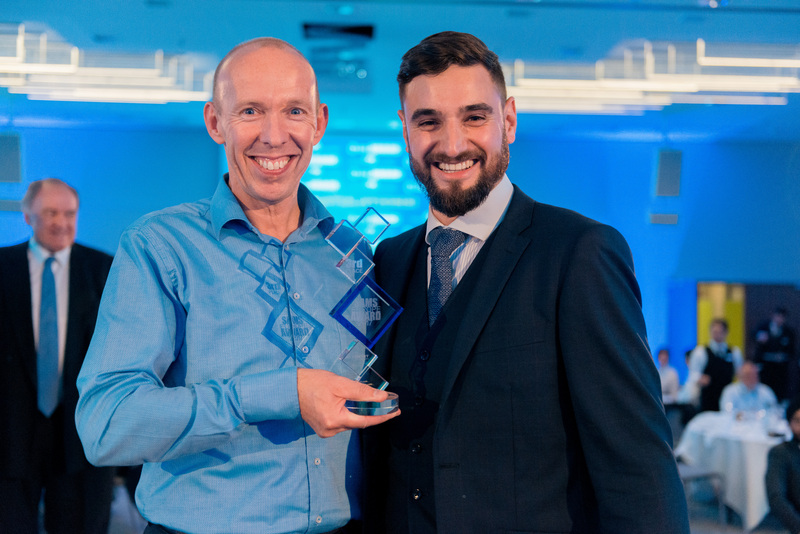 Review SAMS Europe Award – Watch Now! 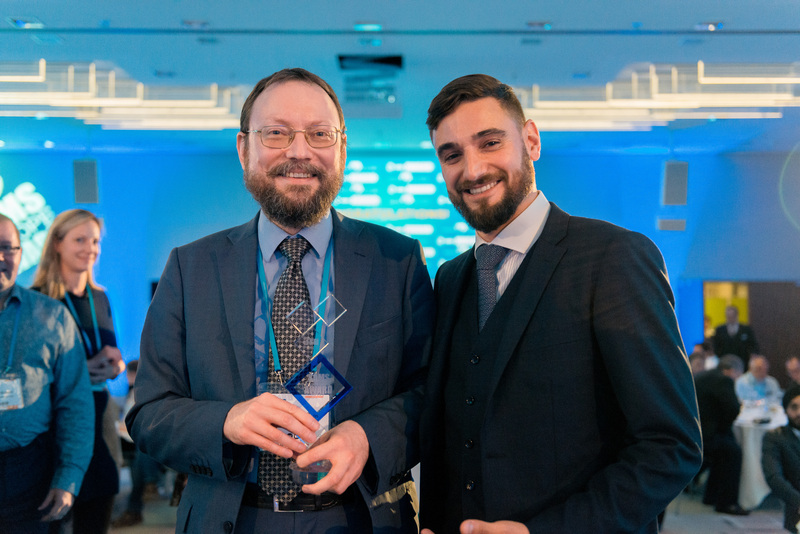 On the occasion of the 7th SAMS Europe 2018, the leading networking conference on software asset and software license management, we.CONECT bestowed the renowned SAMS Europe award for the 7th time. 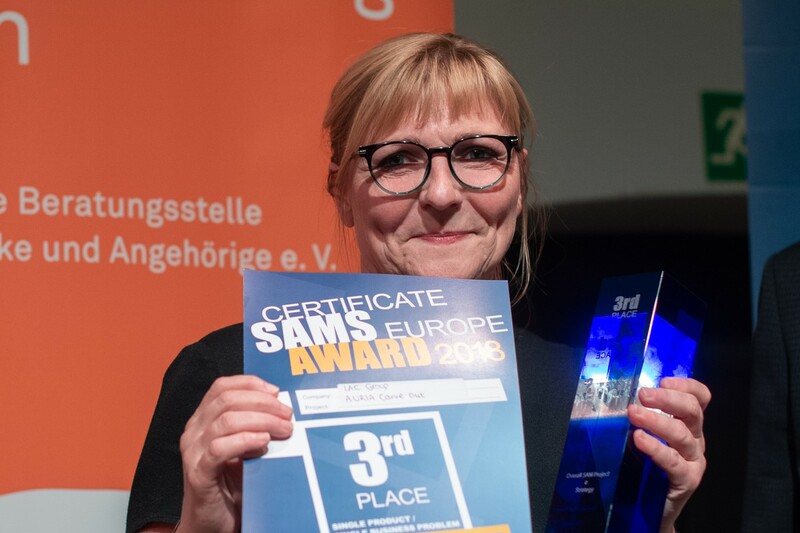 In the overall category, the SAM as a Service project of Signify presented by Ellen de Belder and Rick Hendriks was awarded with the first place. The project can be summarized as: SUCCESSFUL implementation of MATURE Software Asset Management was not a walk in the park but, as a TEAM, with the right EXPERTISE and PERSEVERENCE, we made it WORK! Philip Morris International was awarded with the third place. 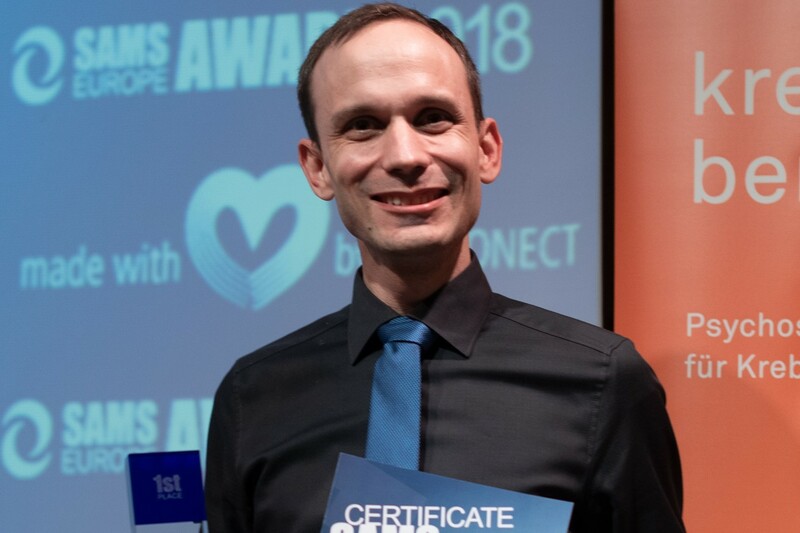 The award application was submitted by Oleg Sergeev, who summarized the project as: Three eLearnings development for the whole PMI SLM community to establish the clear framework of PMI SLM processes and enable smooth SAM tool deployment. On the occasion of the 6th SAMS Europe 2017, the leading networking conference on software asset and software license management, we.CONECT bestowed the renowned SAMS Europe award for the 6th time. 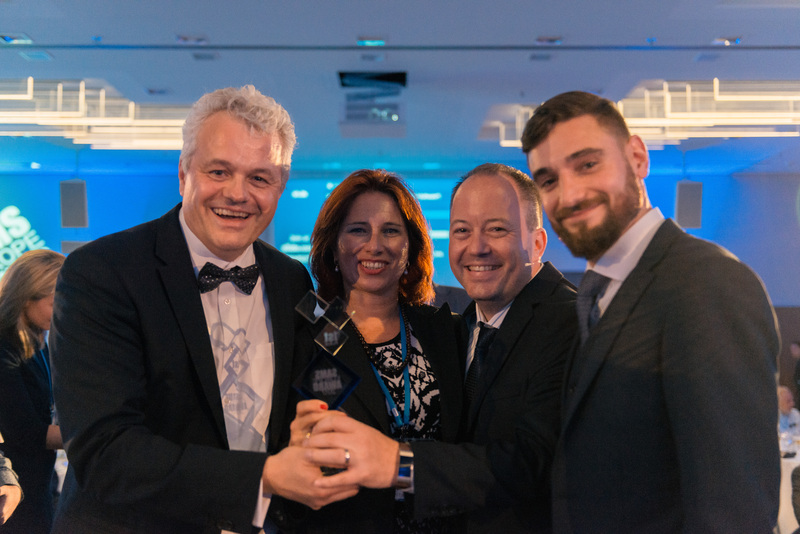 In the overall category, the SAP optimisation project of Kingfisher presented by Colin Simmons was awarded with the first place, where the implementation of Snow Optimiser for SAP allowed Kingfisher to measure, understand and optimise their SAP licensing. During the project, a new IT platform was established, only based on a single global SAP solution. 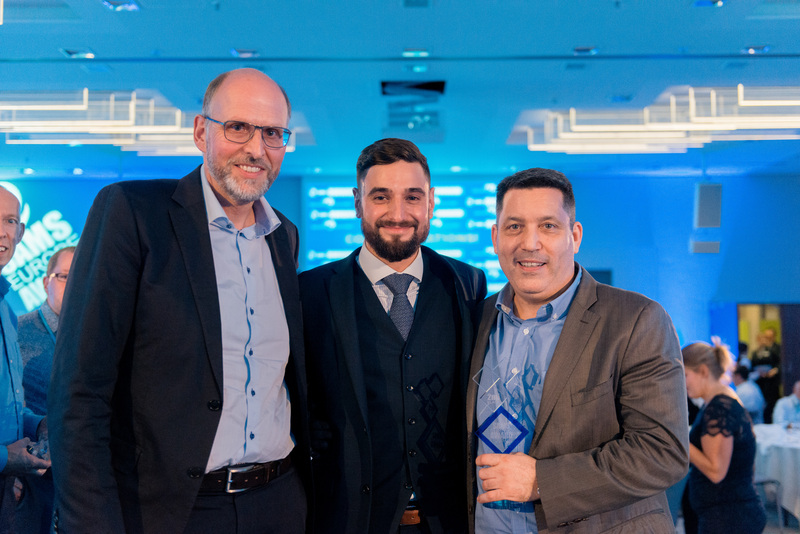 F. Hoffmann La Roche was ranked second: thanks to George Arezina and his team, the company realised financial savings through SAM, which will now be used to fund future clinical trials, enabling the company to produce life-saving medications. 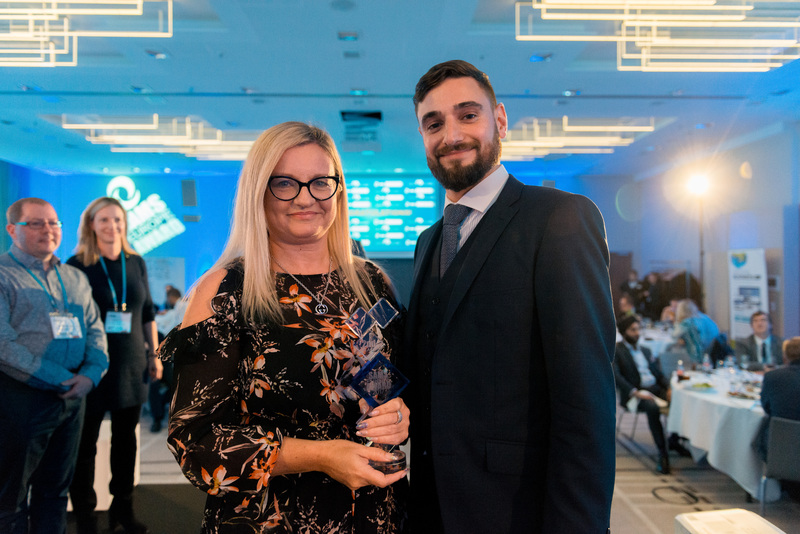 With ABN AMRO’s progress from a pursuit for technical perfection of SAM tooling to a step-by-step approach, the company, which was represented by Anne Pietersma, was awarded with the third place for their project “Software Asset Repository Management”. In the tool/software category, the voting resulted in a very close outcome. 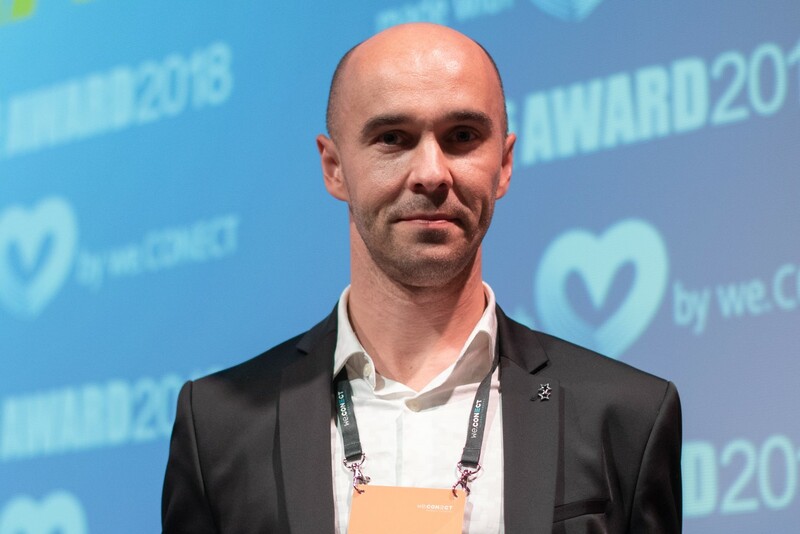 Finally, Jochen Hagenlocher by Novartis received the first-place vote by the audience for his team’s project “Cloud SAM for Salesforce” – a task in order to achieve transparency in the Salesforce Cloud Usage. Rachel Ryan by AstraZeneca presented their AZ Software Store project which won the second place. The project helped AstraZeneca to unlock $2m annually through simplification, automation and sustainability in SAM. Raiffeisenbank Russia’s project was developed under the slogan “Don’t select a vendor – select a friend” – the audience voted the project presented by Maxim Kachelkin as third place. CHARITY PARTNER 2018: Psychosocial Counselling Centre for Cancer Patients and Their Families e.V. 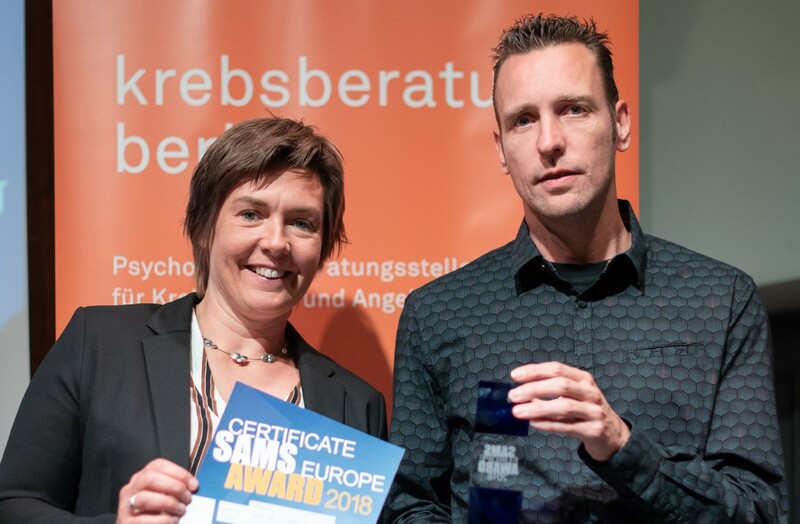 On behalf of the award winners 2018, we.CONECT will support the ‘Krebsberatung Berlin’ – a Cancer Counselling Centre. On behalf of the award winners 2016, we.CONECT will support GermanNow! Projects that have been awarded with the SAMS Europe Award before may not apply again. This project has to be about Software Asset or Software License Management. The implementation of the project should not date back more than 4 years. A jury will evaluate the suitability of all the nominations submitted for the different award based on the documents submitted. The jury‘s decision on mapping the nomination with the award category will be final and binding on the nominee. Decisions of the jury are final and may not be disputed. The jury will adhere to our award guidelines. Please note: Solution providers and consultants etc. are excluded from applying. However, it is possible for customers to apply!